Desolation Sound Marine Park is the largest Marine Park in B.C. and has over 6,350 acres of shoreline, water and wildlife. 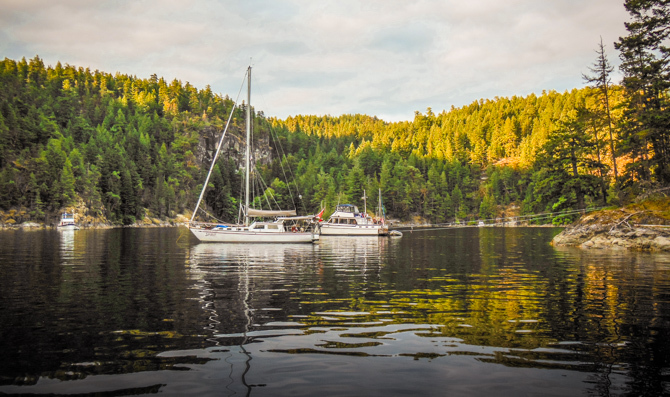 Locally, the park is referred to as having 3 major anchorage areas – Prideaux Haven, Tenedo’s Bay and Grace Harbour although there are many other safe anchorages protected by high cliffs, islands or mountainsides. 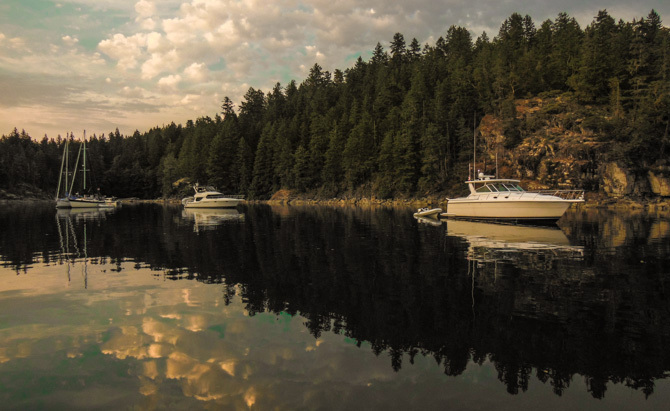 This is easily one of the most beautiful anchorages in Desolation Sound. Get into your dinghy or kayak and go exploring the tiny coves, islands and inlets which make up this area. This bay is to the east of Mink Island in Homfray Channel. 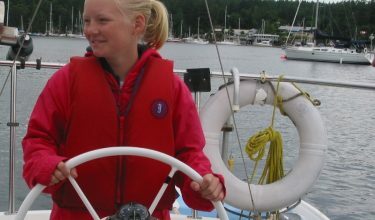 The most protected and favorite places to anchor are on the northern shore or at the head of the bay, near to Unwin Lake. There is an easily visible trail from the anchorage which leads you directly to Unwin Lake. This is a delightful lake to have a fresh water swim and is a great place to base yourself and explore by kayak Mink, Curme and Otter Islands. At Tanedos Bay there is also a campsite, pit toilets and an information board. If you’re already in the area of Desolation Sound and think the scenery can’t get any better then sit back in the cockpit and be prepared to be wowed by Grace Harbour. Out in the Sound the weather may well be causing some waves but inside, enclosed Grace Harbour it is always calm. 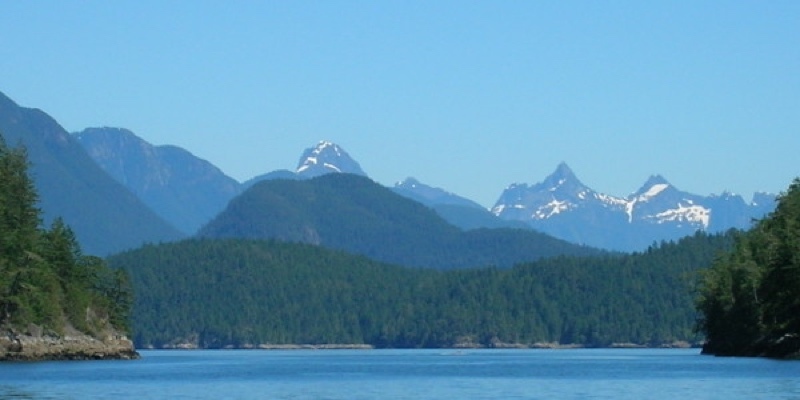 This is a small anchorage on the mainland of British Columbia and is accessed by Malaspina Inlet. Throw out your anchor and relax or jump in your dinghy and find the path through the woods to a small lake. Bears and wolves live in the woods, but they will see you way before you see them. You’d be incredibly lucky to see them. Look out for old logging machinery – garbage or interesting, historic remnants to treasure. You decide! From all of these anchorages watch out for incredible wildlife on land, in the sea and up in the sky. 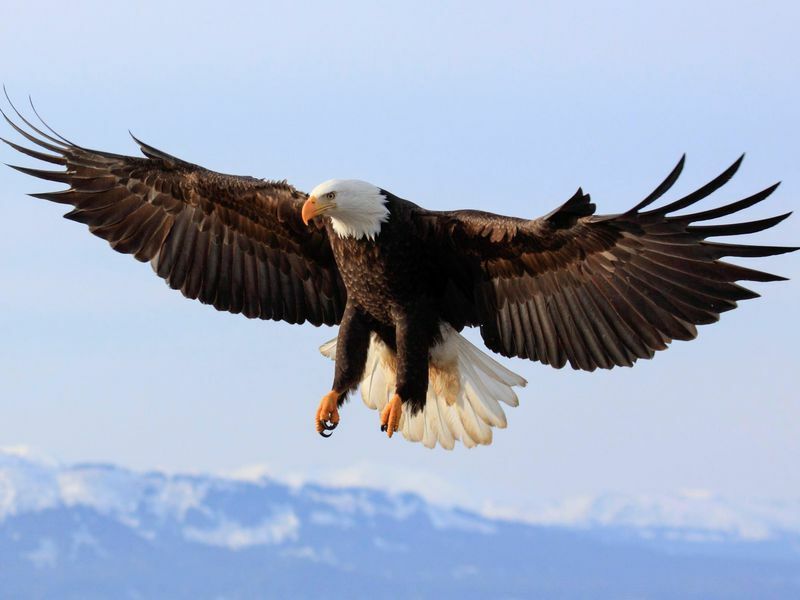 Desolation Sound is lucky enough to have a healthy population of Bald eagles. You can recognize them by their white head feathers and their enormous nests. 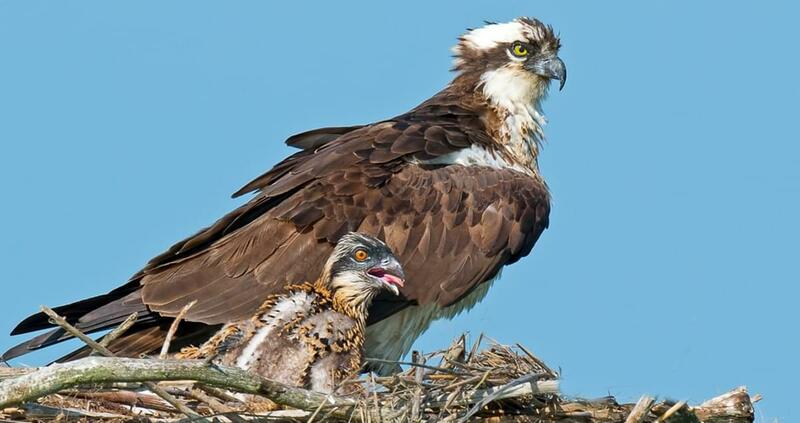 Their nests are built year on year as they return to the same location by the sea where they can feed on fish. These birds are also known as fish hawks and are fantastic fish hunters. They are expert at spotting and diving for fish and can be easily spotted by their black and white markings underneath. These are seen circling way up high. They live off dead animals and their amazing sense of smell enables them to easily find food. 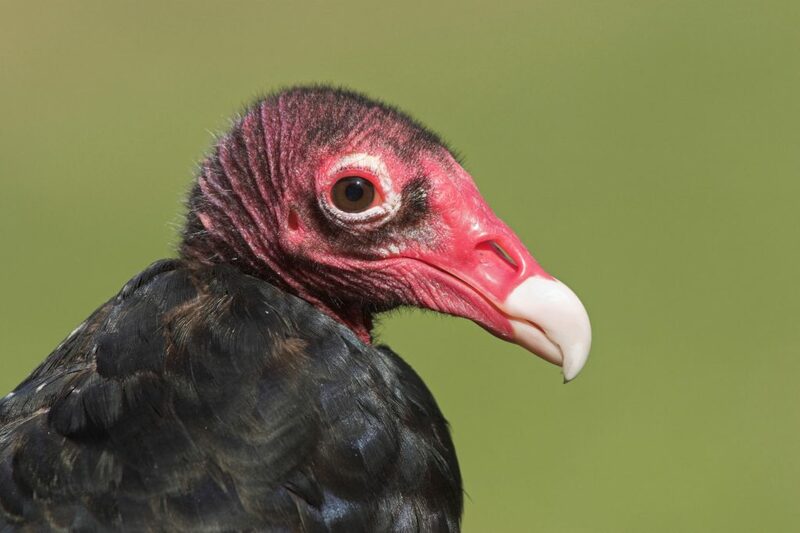 You can spot a turkey vulture by its gliding flight on the thermals which they use to conserve energy. 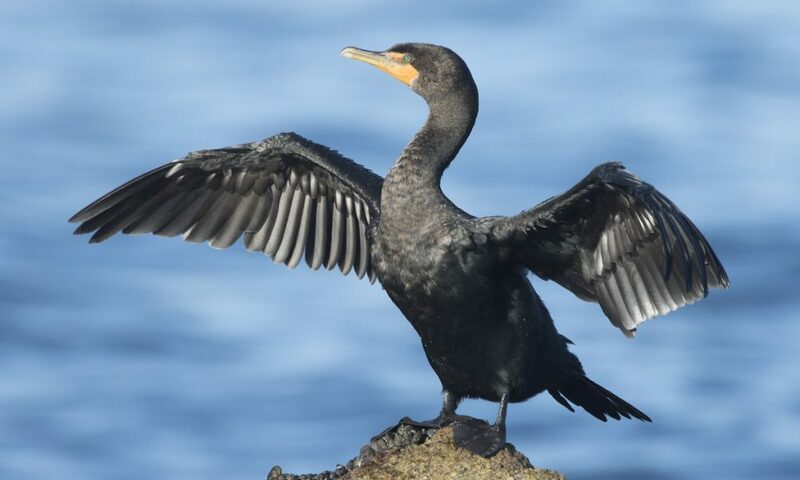 Cormorants are in abundance in Desolation Sound and you will see large groups on the shore or on floating logs. When they’re not diving for food they spend a lot of time drying their wings. Unusually for diving birds their feathers are not waterproof which means they can dive deeper for fish but need to be looked after! 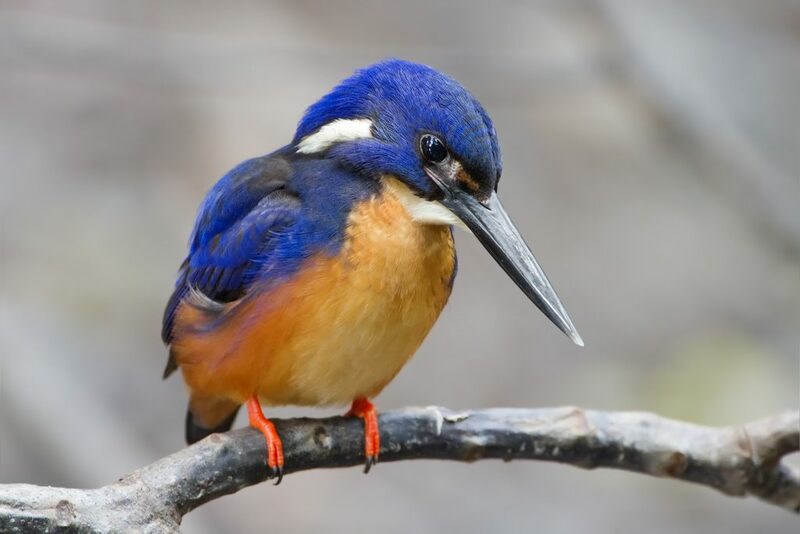 As you’re kayaking or rowing your dinghy near to the coastline look out for the blue and white kingfishers. If you’re lucky you might see one diving for food. They take their time hovering over the water and then they seem to think, ok lets just go for it and throw themselves in the sea. 2 seconds later they’re out the water with more often than not a fish in their mouth. 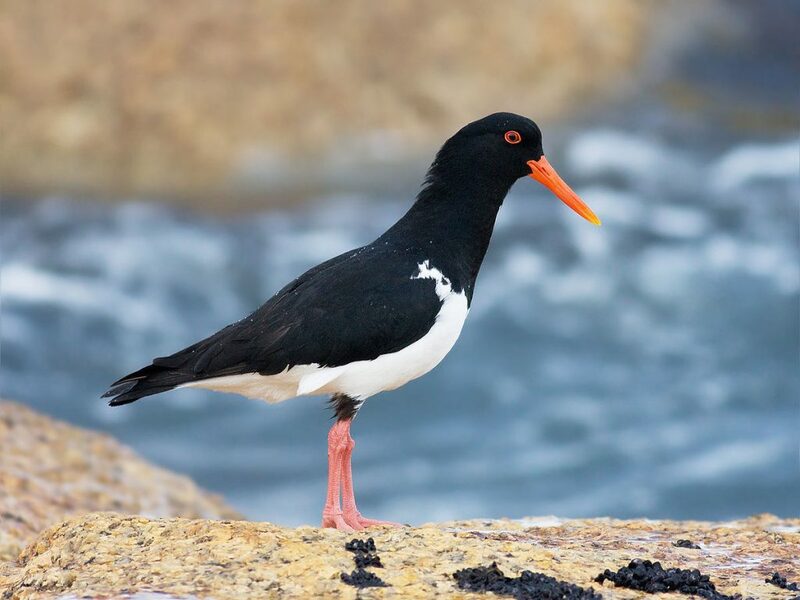 Oyster Catchers with their bright orange beaks and jet black feathers are masters of prying open shellfish. Strangely, they don’t eat oysters simply because their beaks aren’t strong enough to open the shells. Their main diet is infact mussels and limpets. Apart from their bright orange beaks they’re also known for their distinctive sounding “melody” which sounds like human screams. 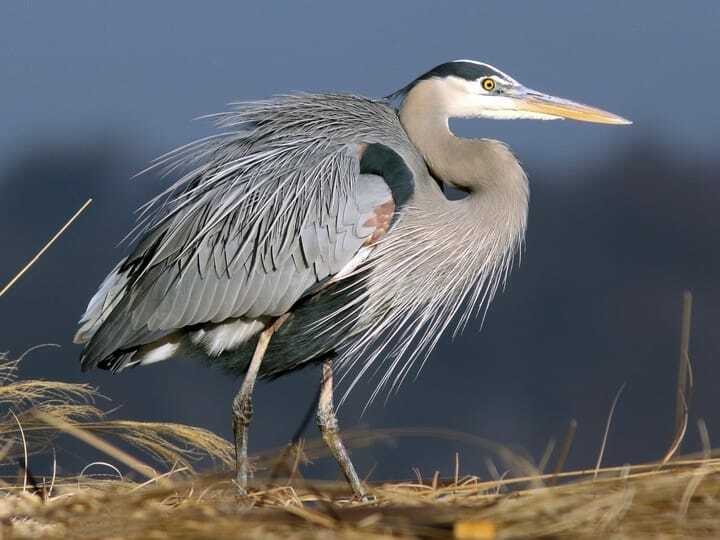 There are not so many Great Blue Herons, but you’ll spot these large birds by it’s majestic form as it wades through the shallow waters in search of food. If you’re new to Canada it’s especially exciting to see some of the wildlife. In early spring black bears come down to the shore and feed on herring spawn and in the fall they hang out at rivers where they know there are salmon. They love the salmon for their rich meat and their need to increase their weight before they huddle down in their winter dens. 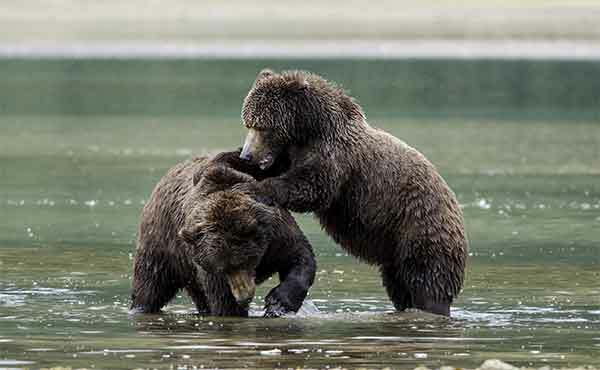 The coastal grizzly bears are less common than the black bears but if you are very lucky can be seen in the North of Desolation Sound in the fjords. River otters love shellfish, fish and if they can get them young sea birds. They sleep and nest on land in hollow logs or tucked away in accessible tree roots. Minks are no longer farmed for indulgent fur coats for mankind. They are common in Desolation Sound, but are very shy and you are unlikely to see one. If you are lucky you may see one scampering across the rocks. They eat small rodents, fish, shellfish, frogs and birds. Cougars and wolves are present in the forests of Desolation Sound, but you will be extremely lucky to see one. If you do see one it’s a good idea to keep your children and pets close. Never camp and leave food out. Spring or fall is when you are most likely to see Sea Lions. In the summer they seem to normally head south to California. 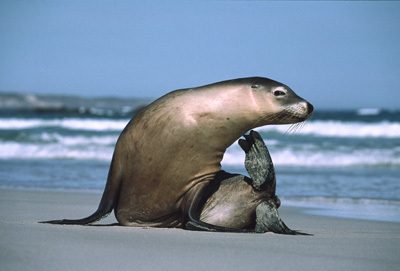 Sea Lions have a distinctive honking noise. Look out for them resting on rocks or resting in the water with with their flippers in the air (to reduce heat loss). You’re more likely to see seals than sea lions. If you’re on the water and it’s hot with a low tide you’re likely to come across seals enjoying the hot weather. Huge colonies of seals gather near the cliffs on the western shore of Kinghorn Island and at Major Rock north of Lund. There are 2 types of common porpoise in Desolation Sound, the harbour porpoise and the Dall’s porpoise (with a white dash on the dorsal fin). Often a pod will have a dozen porpoises. They tend to come up to the surface a few times and then they will stay under for around 5 minutes. Dolphins are larger than porpoises and have white or grey markings on their undersides and at the tip of their dorsal fin. 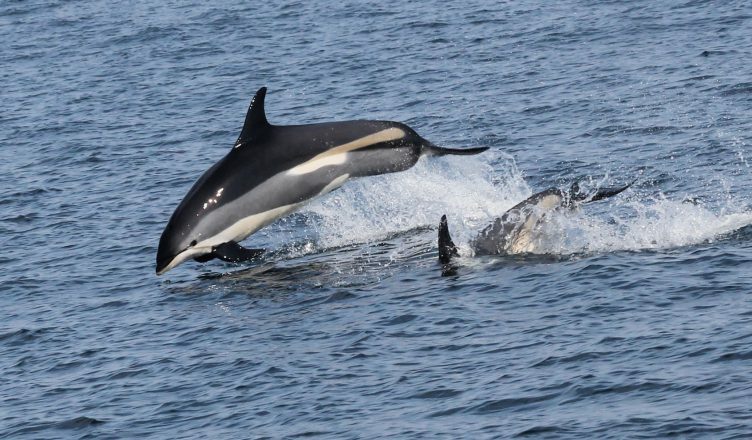 They can be in much larger groups than porpoises and are definitely more playful. They love to play in the waves of boats. In Desolation Sound you are more likely to see a porpoise than a dolphin. 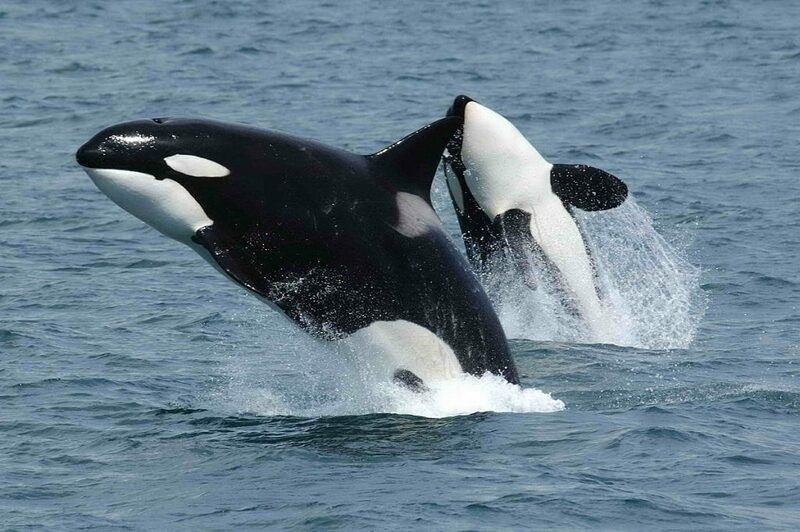 Orcas (killer whale) are a popular tourist attraction. Outside of aquariums there are zero reports of orcas attacking humans, but these predators with their infamous hunting skills, strength and speed hold a strong allure for all. Orcas are often seen in Desolation Sound, but there are no guarantees. Whether you spot one from the safety of the land or from your stand up paddleboard it’s a moment which will stay with you. Gray whales can also be seen. They have a low hump on their back instead of a dorsal fin and are a mix of grey and white whereas humpbacks have much darker skin with a small dorsal fin. Humpbacks can be under water for up to 20 minutes at a time whereas for grays it will be about 4 minutes. Desolation Sound is a special area where beautiful scenery is home to an amazing array of wildlife.